Guy Hepner + The TAX Collection present ‘Suddenly Familiar’, a solo exhibition by Adam Lister. 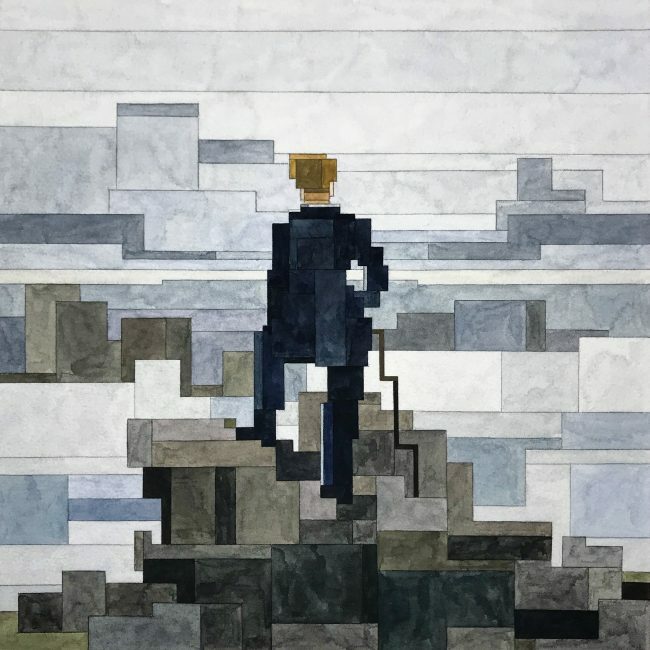 Opening October 4th, ‘Suddenly Familiar’ is a collection of the artist’s newest works, reinterpreting iconic historical paintings with his signature geometric approach. 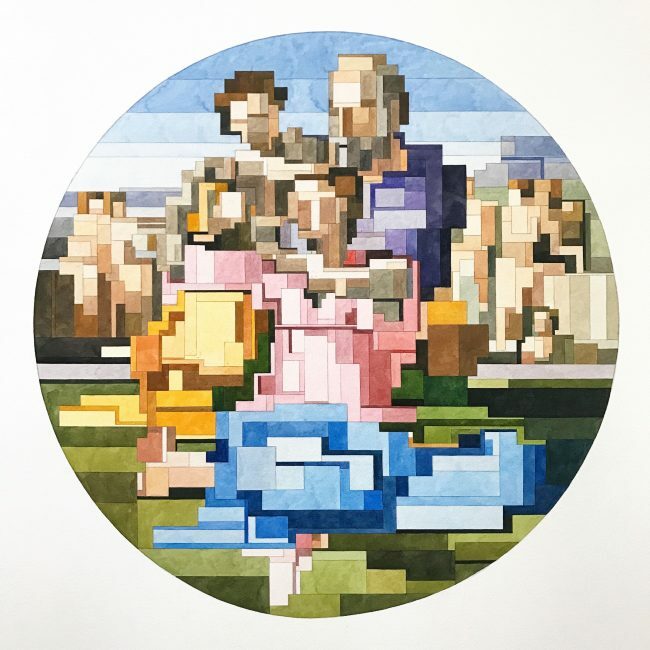 Lister breaks down these classic images to their most elemental forms by combining the deconstructed and minimal aesthetic of pixelated graphics with the transparency of watercolor paint and the flatness of acrylic paint. 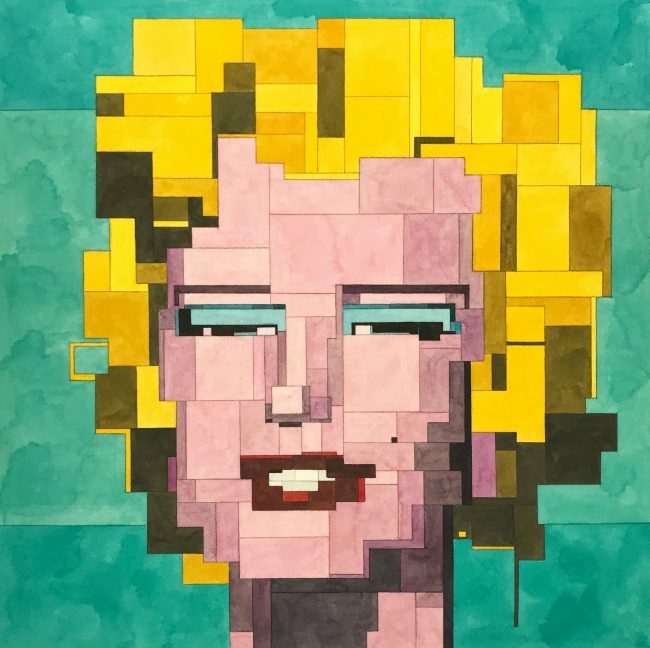 The artist explores the relationship of nostalgia and mathematics, taking on subjects that hold a collective familiarity and reducing them to flat cubist-like compositions. The process deals with taking a memory of an image, and highlighting its complexity and simplicity at the same time. These paintings are influenced by geometric thinking and a desire to capture the briefness of a mental picture. Lister’s curiosity surrounding visual perception and spatial arrangement plays with the way that he describes each image with a specific level of clarity. Born in 1978, Lister received his B.F.A. in Painting from The School of Visual Arts (New York) and currently lives and works in Beacon, New York. Please join us for the opening reception on October 4th from 6 till 9pm. Guy Hepner is pleased to offer several new paintings and limited editions prints for sale. Inquire via phone or email to receive further details.